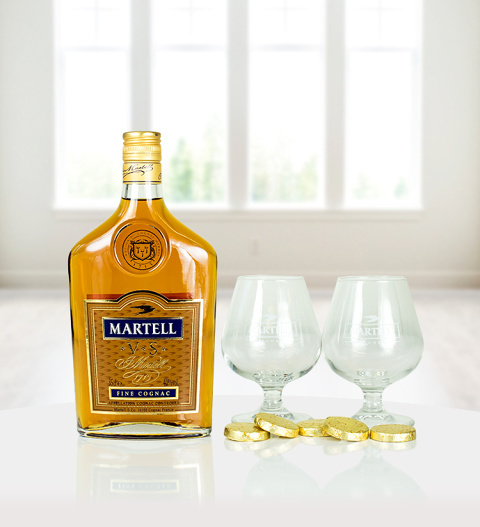 The Martell Cognac Gift Set is an ideal gift for the Cognac connoisseur. Complete with delicious evening chocolates and a pair of Martell glasses. This fine cognac is one of the oldest cognac houses founded in 1715. The bottle measures 35cl and is available for UK next day delivery.